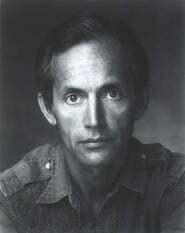 Lance Henriksen has starred in 138 movies. The 5 most recent movies Lance Henriksen was in are listed below. Next is the list of 3978 actors/actresses that Lance Henriksen has worked with spread over 199 pages. The list is sorted by the people Lance Henriksen has worked most frequently with. When you find the person you are looking for, click on the link to view a list of movies they have worked in together. If you decide instead to click on a movie with Lance Henriksen, it will display the top billed cast. If the cast members have starred together in other movies; beneath the cast member a list will display. Kevin J. O'Connor and Lance Henriksen have starred in 2 movies together. Their first film was No Escape in 1994. Biff Yeager and Lance Henriksen have starred in 2 movies together. Their first film was Jagged Edge in 1985.